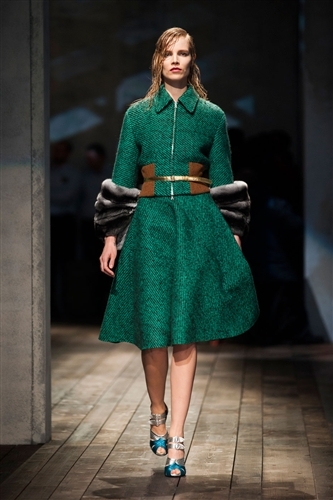 Miuccia Prada delivered another flawless collection this season, the fashion world paid close attention as she presented her expert take on A/W 13. 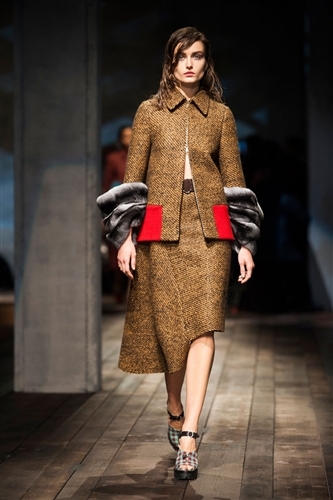 The design powerhouse Miuccia described her collection as raw elegance and an abandonment of feelings. 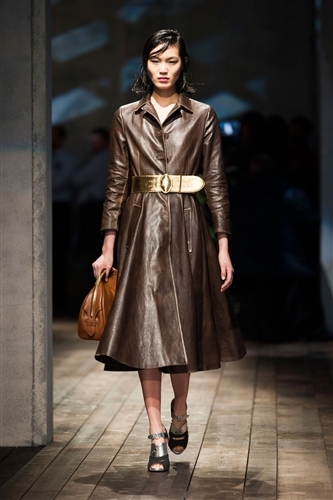 The personal collection is a progression aesthetically from what we’ve seen from Prada before. 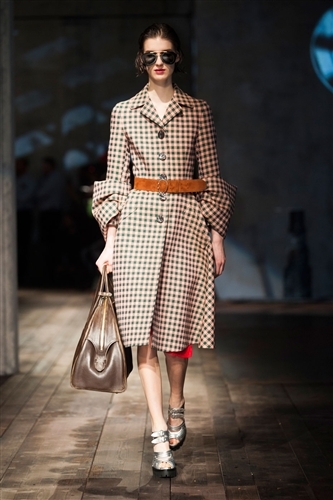 The inscrutable Prada look was roughened up slightly, and made almost more accessible. 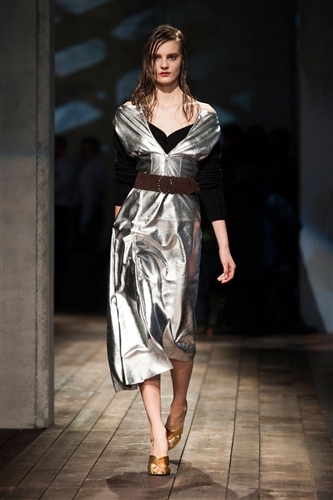 This raw elegance stemmed from a contrast, there were rich and luxurious textiles which were heavily embellished and then next to them were plain and simple cardigans and knitwear. 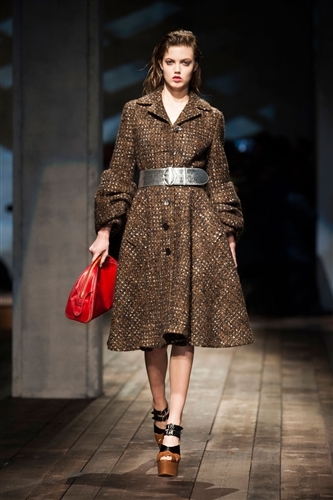 This pairing of glamour and practicality was pulled off with impeccable finesse, and we would expect no less of Miuccia. 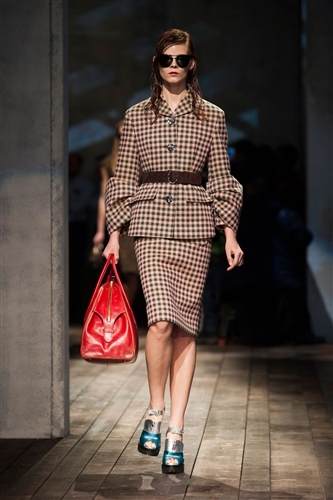 This season was decidedly for the Prada woman, it was mature, strong and confident.